Blue Water is a beautiful 4 bedroom, 4 bath waterfront property that can accommodate groups up to 12. This newly purchased home has been freshened with contemporary décor and fun color. It offers an abundance of natural light and is designed to provide great lake views from almost every room. No detail was spared when creating this exceptional property. Looking up you will even find beautiful blue light-up tray ceilings in the living room, kitchen and a bedroom. The open living room is great for family and friends and a large bonus room is perfect for "kid time". 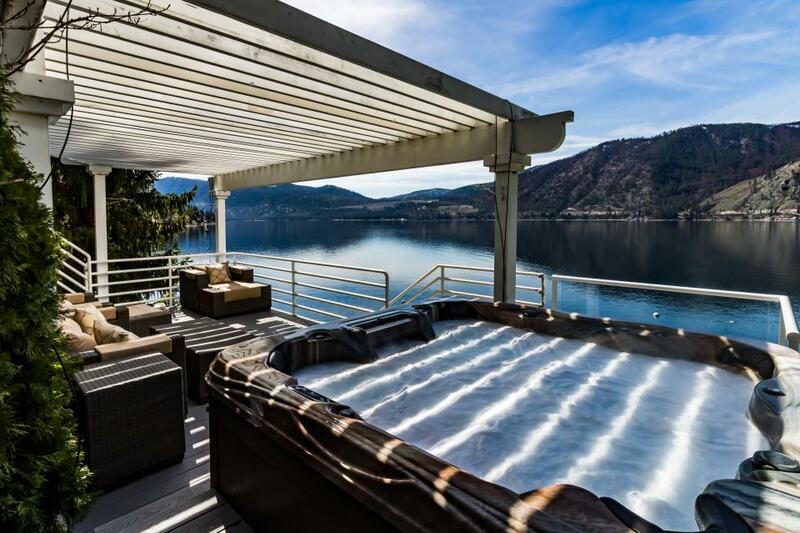 Waterfront amenities include multiple levels of decks, offering additional opportunities for entertaining and privacy, a large dock and steps leading into the lake, and a perfect area for wadding and enjoying the pristine waters of Lake Chelan. View the complete list of amenities to learn more about this "new" vacation home.